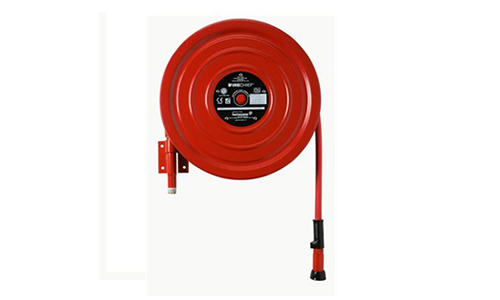 We specialise in the supply, delivery & installation of Fire Hose Reels. Fire extinguishers are the first line of defence in the unfortunate case of an outbreak of a small fire. When used correctly, a fire extinguisher can save lives and stop the spread of a fire, thereby minimising the damage to the building itself. The primary function of the fire detection and alarm system is to provide the occupants of a building the maximum amount of time in order to escape the building during an outbreak of fire. It is essential to have a fully functional fire detection and alarm system which is tested, serviced and maintained on a regular basis. The primary function of the emergency lighting system is to provide the occupants a direct, clear and safe passage of exit from a building when there is loss of electrical supply and the general lighting fails. This will allow an easier and calmer exit from the building, therefore, reducing the possibility of injury to the occupants when evacuating the building. We understand that issued can arise at any time of the day or night. That is exactly why we provide 24 hour phone support and call out service. We offer a 24 hour monitoring service for your fire detection and alarm system, 365 days a year. Fire suppression systems are a great way to extinguish a fire in its early stages after an outbreak. Fire suppression systems will automatically activate and are typically used in server rooms and archive rooms with FM200 systems for example. There are other applications of fire suppression such as the use of Ansul in restaurant canopies. AOVs (Automatic Opening Vents) are essential to many shopping centres, apartment buildings and office buildings alike. An AOV will activate via a smoke detector or a manual call point and the smoke can freely flow out of the AOV. The servicing of fire hose reels by our technicians are serviced in accordance with En671. this service will include a hose reel static pressure, dynamic pressure and the litres per minute. A pressure test is required for all fire hose reels every five years to ensure that they are in good working order. Following the servicing of each fire hose reel, our clients are issued with a full report which includes all figures taken.